In case you don't remember, Darth Silthar is the Sith who is working with the Imperial Reclamation Service on Tatooine and who talks to you at the start of the planetary story arc on Empire side. I'm not sure I'd go so far as to call him a "nice" Sith, but he surprises you right off the bat by being respectful and appreciative of his Imperial associates, which is something Imperial players don't get to see often. However, he then dies on the very next mission he goes on and you're left to deal with the Reclamation Service for the rest of the story arc. I'm not sure he had tons of potential in him exactly, but I distinctly remember feeling a bit disappointed to see him die so soon the first time I played through this. 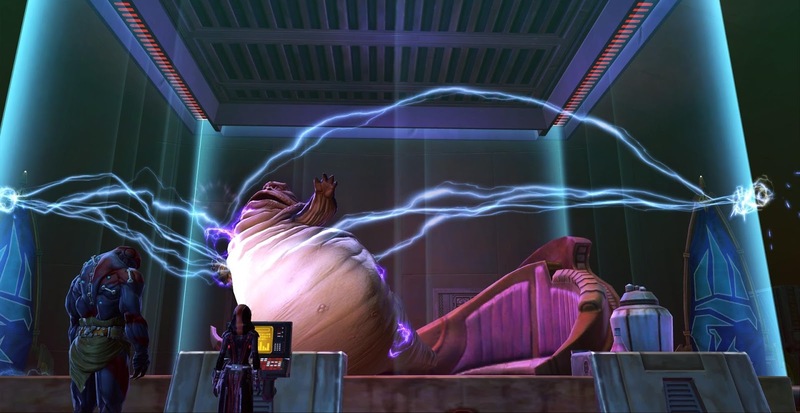 Non-crazed Sith NPCs are rare enough as it is, and it would have been interesting to see more of him. Also, the rest of his team were a bunch of bores. Another group of names that might not ring a bell right away, these are the Hutts that make up the "Three Families" that you deal with on Quesh. I'm forever confused by the supposed chronology of the events on Quesh, but the important point is that they are Hutts that aren't afraid to take sides in the Republic-Empire conflict, and that's refreshing. More could have been made of that before killing them off; that's all I'm saying. However, I will admit that killing Hutts is a special kind of fun. You may be surprised to see Theron's dad so low on this list. My reasoning for this is that he's never actually had much development in game, and most of what could have potentially made players feel attached to him one way or another happened in cinematics or novels. Nonetheless... he was a big player with a lot of background, and killing him off without actually doing much of anything with him in game felt wasteful. Of course he's not necessarily dead, as he's one of those characters that can stay alive or die depending on your choices. But let's be honest: Once someone is "optionally dead", they never have much of a role to play anymore and are as good as gone from the game anyway. 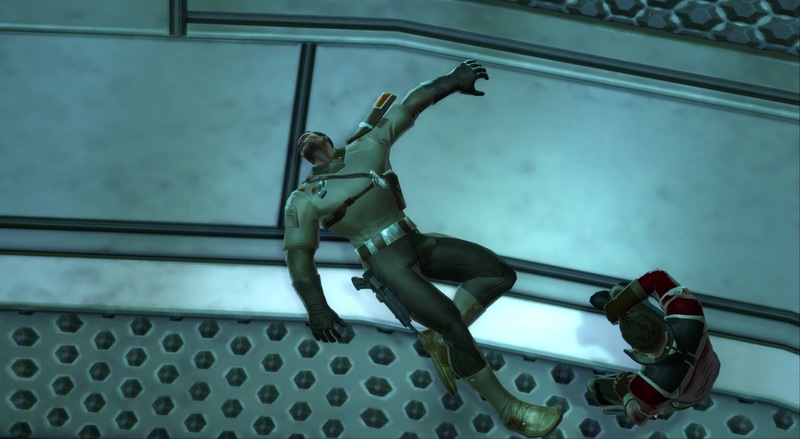 In case you need a reminder, this is the secret leader of the Revanites on Dromund Kaas. While the quest chain gives you the option to sell her out at the end, we never really find out what happens after that. However, it seems that she got away either way, as she eventually shows up again as the end boss of a daily chain on Yavin IV. Some people might consider it a refreshing throwback that Bioware thought of including her at all, but to me it just seems like a waste to have her be a simple daily quest mob. 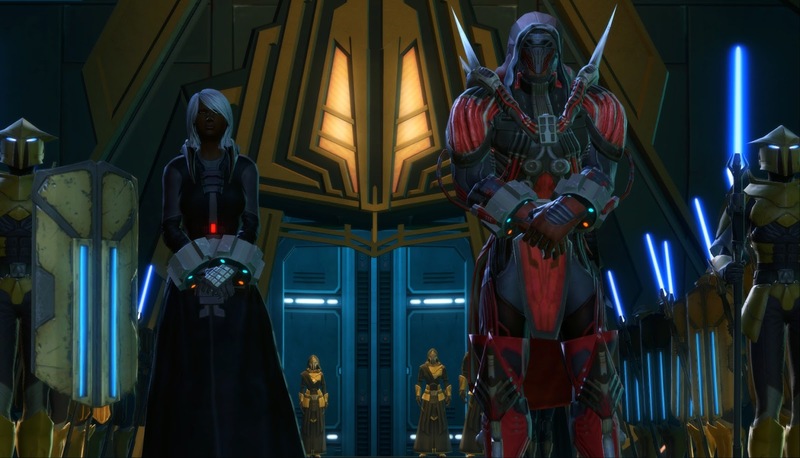 How did "the Master" react to meeting Revan in the flesh after all? So much more could have been made of that, and I can't help but feel that she deserved better. This servant of the Czerka Corporation is your main opponent as a Republic player during the planetary storyline on Tatooine (aside from the big bad you run into at the very end). I always loved how slimey and outright evil this guy is - trying to bomb old men in their retirement homes and stuff like that. Unfortunately his eventual end is unremarkable, and then Czerka is pretty much never heard from again until CZ-198. Again, seems like a missed opportunity to me, maybe not so much for Gayem in particular, but for Czerka in general. I'm guessing that this one will surprise many people, because how could I not want this woman dead? Well, as it happens I always thought that Saresh was a pretty interesting character, filling the niche of that guy on your side with whose methods you constantly disagree, even if you are on the same side at the end of the day. 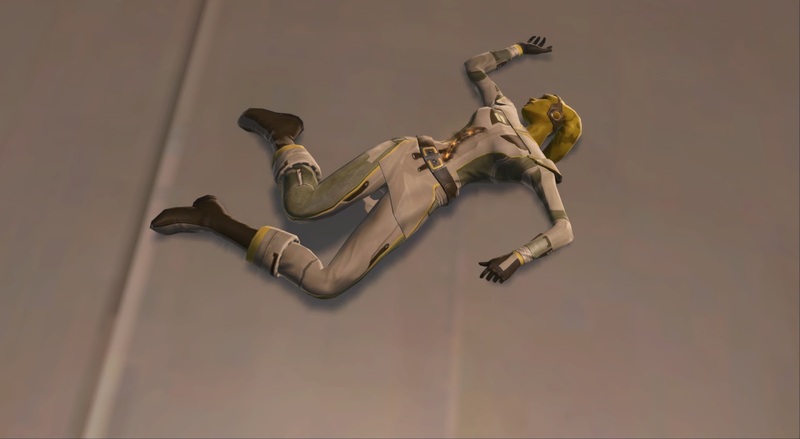 I can't exactly claim that she didn't get enough screentime, what with all the ops missions she hands out to Republic players, but her final fate in KotET was just very undignified and felt entirely out of character to me. She should have been given a chance to go out actually fighting against the Empire in some way in my opinion. One of the poster children for the game, literally featuring in trailers, on posters, and as a statue in the collector's edition, it was a bit of a shock to see this guy get killed off before the game had even received its first patch. The fact that you didn't originally see his body may have been a hint that a return was planned for a later date, but well... let's just say that at this point it seems increasingly unlikely, and the game does allow you to kill him off properly. It strikes me as a shame as you see quite a bit of him if you level through flashpoints as an Imperial character, but at the same time he's not given nearly enough time to show his personality as described in loving detail in the Deceived novel. His betrayal just comes out of nowhere and feels like both a waste as well as bad storytelling. Here it just feels like the story could have been fleshed out to be so much more than it was ever given a chance to be, even if it had still ended with his eventual death. Finally, my personal number one for this list is another "optional" death, Empress Acina. The reason I rank her much higher than Jace Malcom even though they die to the same thing, depending on your choices, is that she was much more fleshed out in game (chapter two of KotET is pretty much entirely about bonding with her) and the choices that lead her to hold the idiot ball in order for her death to occur seem even more out of character for her than they were for Malcom. Again, what a waste of a perfectly good character. Go ahead and share anyone that I didn't include but that you feel also would have deserved a place on this list! In all seriousness, though, I would say that my pick would be Jek Kardan, who seems to be a fairly big player when you first meet him on Coruscant, boasting about how the people you hunt down onwards are his family, and then you never see him again even if you don't kill him. Come on, Tyrus! You can make it! Considering how easy it is to make Jek change sides, I always figured that his threats were nothing but bluster. Obviously his convictions don't run nearly as deep as he makes them out to be. 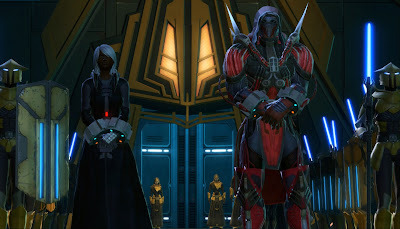 Also, Tari Darkspanner's post-DK/pre-Yavin fate is revealed in her 'Lord Darkspanner' Codex Entry; no matter which side is chosen she is found out by the Dark Council and locked away, escaping after Revan himself appears to her in a vision offering her "the opportunity to expand the order’s roster and purpose". Shame she was the only one of the original Revanites we see; I'd have loved to have come across captives who just so happen to be Torrun, Ladra, Jhorval, etc. 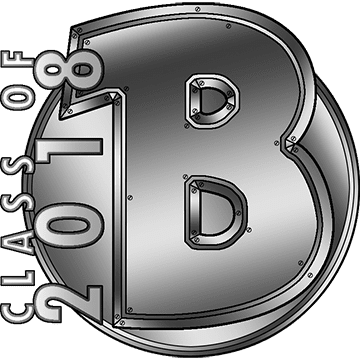 and been able to hear their thoughts on the new Revanite organisation and of the man himself (Torrun and Ladra in particular would be excellent for this). 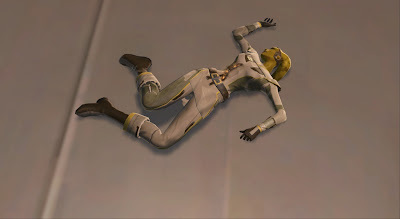 Thana Vesh on Imperial Taris is one I felt (potentially) before her time. I always enjoy her story arc because she feels like a typical PC and we're the NPCs that show up and take her victories away. It was a nice bit of story-twisting. 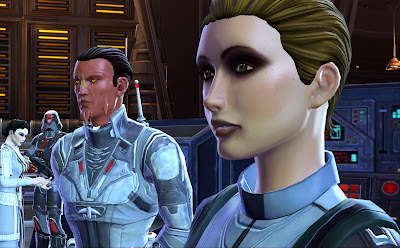 While I do like her arc is completed on Taris, it would have been interesting if she showed up, now and then, while we worked our way to Corellia in the original game. She could have been our 'up and coming' competition. 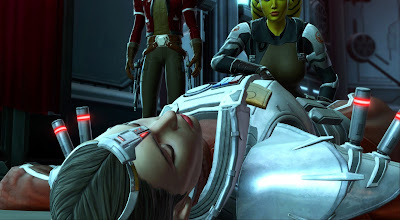 Then at Corellia we could have had our final meeting where she lived or died. Bioware did a good job of building up certain NPCs over the course of leveling and then giving us the option to let them live or die. Eh, I had quite enough of Thana on Taris. :P I did find her arc interesting the first time around but at the same time she was just so annoying I was hardly dying to see more of her. As I said above, Thana's story had an interesting twist, but ultimately she was just too obnoxious. She only has lots of fans on the forums because she's a good-looking female character and that's enough for many people to want her as a companion. Heh, this is a great topic for a blog post! As for Saresh, I imprisoned her instead; decided I didn't want to stoop down to her level. I'm of the unpopular opinion that it's scary how many players opt for murder when they're in power. Abuse of power, anyone? Off the top of my head, there is one NPC whose treatment by the writers always bothered me. Thendys Noori. The Mirialan Padawan of the Jedi you kill at the end of chapter 1 in the Bounty Hunter Storyline. You can't miss her. You're given the option to either kill or let her go. But what makes this particularly frustrating, is that even if choose lightside, you're still forced to kill her later on Quesh. No option to knock-out or stun. Seriously, you get a penalty for killing one Jedi alone (while still perfectly capable of defending herself), but not for slaughtering her when backed up by some grunts with blasters? Given that you receive mail from her (and shows some sign of forgiveness and sympathy towards you) this just came across as something of a lazy wrap-up to a character I always felt had a lot more potential. Heck, I'd even have preferred them to leave her fate ambiguous. In fact, it was almost like she was being set-up as a kind of possible companion. And given that the Bounty Hunter is the only class (pre KOTFE) that doesn't get a force sensitive companion like Raina/Guss/Yuun at least, this could have been a means to acquire one. Turning her back on the order and becoming a Gray Jedi/Mercenary. Either by taking her hostage, or have her realize she's just a pawn of Jun Seros, and seeing the hypocrisy in him and the order. And that things are not just black and white. Imagine bringing her to the final fight with him on Corellia. I'm just firing out some ideas here. But I feel that there was some great story material that was flushed away with her demise. Plus I like Mirialans. And lets face it, who wouldn't take her over the likes of Skadge? It could have been a bit like the choice between good/evil Jaesa. And looking at it from a profitable angle, having even a low level Jedi on your team would still be seen as beneficial for a Hunter. Particularly those mind trick powers and agility at your disposal. That aside however, I think Theron's had more than a good run in the spotlight, what with being introduced in 2.7 back in early 2014 and having remained a major player for more than four years. United Forces AKA Server Merges Inc.